What was this all about? Why was he changing what had been working for generations? Was all this necessary or just for show? This eating with tax collectors and sinners. This picking of grain to eat and healing on the Sabbath. These stories he taught that challenged the Pharisees, the religious establishment, the way they had always done things? And now he’s being ushered into Jerusalem on a donkey, almost like he thinks he’s something special. Why does he have to throw his new ideas into everyone’s faces? What is this Jesus up to? What is he all about? What are these outsiders going to do? What do they mean, “Hosanna! Save us!”? What do they want? Does any of this – – our city, our life, our faith – – really need to change? Why stir up turmoil? Who is this??? Speaking of turmoil…. the turmoil of change that is… no one needs to tell us about how change can stir up turmoil. We know all about that well enough. Education is changing. Healthcare is changing. Politics are changing. Social norms are changing. Shopping is changing. Our individual lives are changing – – relationships, mobility, health, jobs, school, entertainment, family life. All of it changes what seems like every day, and change, while exciting to a few of us, can feel like turmoil to even more. What can we count on anymore? What was wrong with the way things have always been? Is all this change even good? Is it right? Is it faithful? Very little seems the same as it was just a few years ago. Very little is familiar anymore. Even the church is changing, and that might just feel the most tumultuous of all. We often like to think of the church as our comfortable sanctuary, an oasis in the middle of the desert of turmoil outside these walls. We like to think the church is immune from change, but that just doesn’t work. The Holy Spirit doesn’t let the church just sit by idly like a museum exhibit honoring days gone by. The Holy Spirit is constantly moving and adjusting and stirring things up in the church. Trying to ignore that movement of the Spirit is trying to deny the promise of new life and the new things God is doing in the world. A couple of weeks ago I had the pleasure of hearing a lecture by religious scholar and public theologian Diana Butler Bass. Bass talks about periods of turmoil in the life of the church, when the church is confronted with a crisis of legitimacy, the sense that things are not as they used to be, as times of potential awakening. There is an arc to this shift, this opening, this renewal in the life of the church that starts with a crisis, or possibly multiple crises. Our current crisis, especially in Western Protestant churches, according to another authority on religious life in the US, Phyllis Tickle, has been defined by changing views of the role of women in leadership in the church, the attempt to desegregate the most racially divided hour each week in the United States, and the opening of the church’s stance on sexuality. As the crisis intensifies so does the turmoil, until ultimately the institution of the church as it has existed has to fail – – which doesn’t necessarily mean die! – – so that the Holy Spirit can give birth to a new form of life. 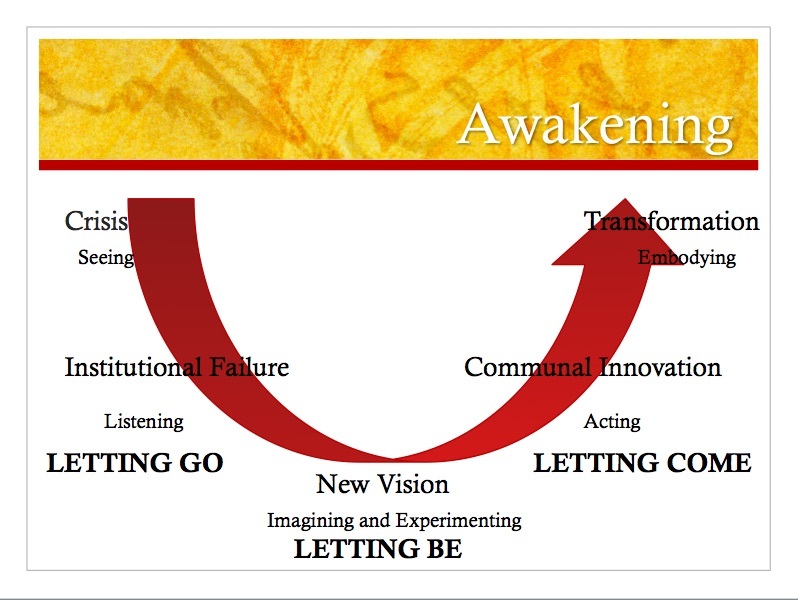 This is what scholars before Bass have called awakenings, and what she thinks we are experiencing now. The next Great Awakening. But we aren’t on the other side yet. We’re still in the middle of the turmoil. We’re still asking the same sorts of questions the city was asking when Jesus and his followers showed up on the scene with palms and shouts of “Hosanna!” Why do they have to throw their new ideas into everyone’s faces? What is this Jesus up to? What is this all about? What are these outsiders doing? What do they want? 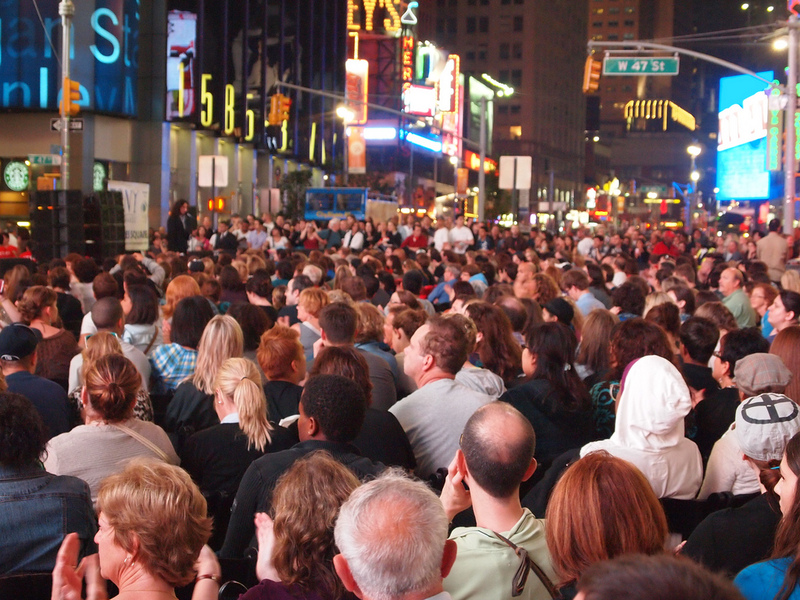 Does any of this – – our church, our life, our faith – – really need to change? What’s this turmoil they are stirring up? Who is this? Who are we??? Matthew answers the question being asked in the city, “Who is this?” with the actions of Jesus once he enters the gates. His first stop is the temple. A person of faith in Jerusalem at the time just before the Passover, it makes perfect sense. But what he does there doesn’t make much sense. Knocking over tables, pushing people out of their seats. Disrupting the way things are always done. Jesus only adds to the turmoil. Next the blind and the lame come to him in the temple. Those whose bodies are not whole, whose spirits are assumed to be broken, too, join him controversially in a place of cleanliness, and he heals them. Finally the children, the voiceless, the overlooked, they start calling him Son of David, the messiah. “Who is this?” the city asks. He is Jesus, the Savior, Matthew helps us see. He is Jesus, the one who has been about justice from the start. Not wanting to see the temple of God turn into a marketplace where blessings are sold only to those who can pay, he disrupted a system that privileged those who already have privilege. He condemned the actions of making money off or denying access to those who seek to be in relationship with God. He is Jesus, standing up for the temple of God as a place of prayer, a place of communion with the divine for all people, those who can afford offerings and those who can’t, those who are viewed as whole and those who aren’t, those perceive themselves to be on the inside, and those who very clearly are not. He is Jesus, looking with compassion on those who come for healing and wholeness. “Who is this?” the city asks. This is Jesus. He may be stirring things up. He may be causing some turmoil. He may be challenging expectations and assumptions and traditions. He may be putting himself in danger for ushering in a new understanding, a new awakening, but this is still Jesus, the prophet who speaks a word from God, a man from Nazareth, the Son of David, the Son of the living God the one who comes to save us. The city may be in turmoil. There may be a crisis happening all around them, but the core of who Jesus is, what he is about, what he values hasn’t changed. gh the next week of his life, the last week of his life. Were they going to always be palm wavers? Cloak spreaders? Were they going to join the people in turmoil in the city as those who questioned, those who worried about the threat to traditions? Some would become deserters, others betrayers. Very very few remained faithful witnesses to all that happened as Jesus moved from parade or protest, to proclaiming both the good news and the coming judgement, to the breaking of bread, to the arrest and trial, to the crucifixion and the tomb. Very few were with him at every step of the way as the crisis of legitimacy rolled down the hill of institutional failure, before the new vision was made clear, and the awakening began on earth and in heaven. a call to listen to, learn from, and be led by the voices we are tempted to overlook, deem unimportant, and ignore because they just don’t sound like our own voices, our own ideas. “Who is this?” the city asked in the middle of turmoil. This is Jesus – our prophet, our Lord, our Savior. “Who will we be?” we ask in our own time of change. people who know, like the children who cry “Hosanna!”, that it is God alone who can and does save us. Even from ourselves. As we move further into the turmoil of Holy Week, the turmoil of a church moving into the future, may that be our prayer, “Hosanna! Save us!” so that we will be ready to greet the new day, the new awakening, the resurrection of Jesus our Lord. Amen.